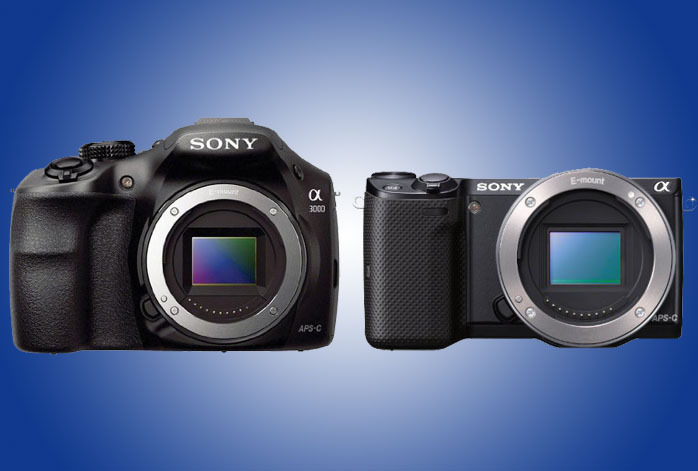 Are you having some difficulties in choosing between these two Sony’s product – Sony A3000 and Sony NEX 5T? Well, do not worry, my friend, because you are not alone. A lot of other people have also met the same dilemma. Sony A3000 and Sony NEX 5T indeed share a lot of similarities with each other. Both are mirrorless digital cameras with similar features. However, Sony NEX 5T is usually more expensive than Sony A3000. So, what are the things that Sony NEX 5T brings that make it pricier than Sony A3000? At first, we may frown upon seeing the image sensors of the mirrorless digital cameras. The cheaper Sony A3000 actually comes with a 20.1 MP APS-C CMOS sensor, while the pricier Sony NEX 5T is only armed with a 16 MP APS-C CMOS sensor. Simply, Sony A3000 can deliver larger images with denser pixels than Sony NEX 5T. However, Sony NEX 5T actually has larger pixel area than Sony A3000. As the effect, while the color depths of the images produced by the two cameras are still pretty much similar, Sony NEX 5T has a better dynamic range than Sony A3000. Additionally, Sony NEX 5T comes with a higher maximum ISO setting than Sony A3000. Sony NEX 5T has 25,600 of maximum ISO, while Sony A3000 only has 16,000 of maximum ISO. These differences allow Sony NEX 5T to have better and more realistic lighting in the images than Sony A3000. Another difference that may greatly affect the usability of the cameras is the continuous shooting speed. Sony NEX 5T offers a huge photo burst of 10 fps. On the other hand, Sony A3000 is not exactly reliable for sports and fast-paced action photography because it only has a continuous shooting speed of 3.5 fps. Also, worth a note, Sony NEX 5T comes with an articulating 922k dots display screen, allowing you to shoot from difficult angles while still seeing exactly what your camera is aiming. Sony A3000’s is not tiltable, and is only 230k dots in resolution. Last but not least, Sony NEX 5T comes with Wi-Fi and NFC for easy, effortless, and practical data transfer across different devices. Sony A3000 lacks any wireless connectivity so that file sharing can be somehow difficult here. Even though Sony NEX 5T is inferior to Sony A3000 in terms of maximum resolution, its other advantages make it better than the contender in many ways. The higher dynamic range allows you to create better colors in your images. The higher photo burst speed extends its versatility for different purposes. The wireless connectivity simply enhances its convenient usage. Therefore, we recommend you to choose Sony NEX 5T.